Today was the last day of class with the next three days set aside for final exams. 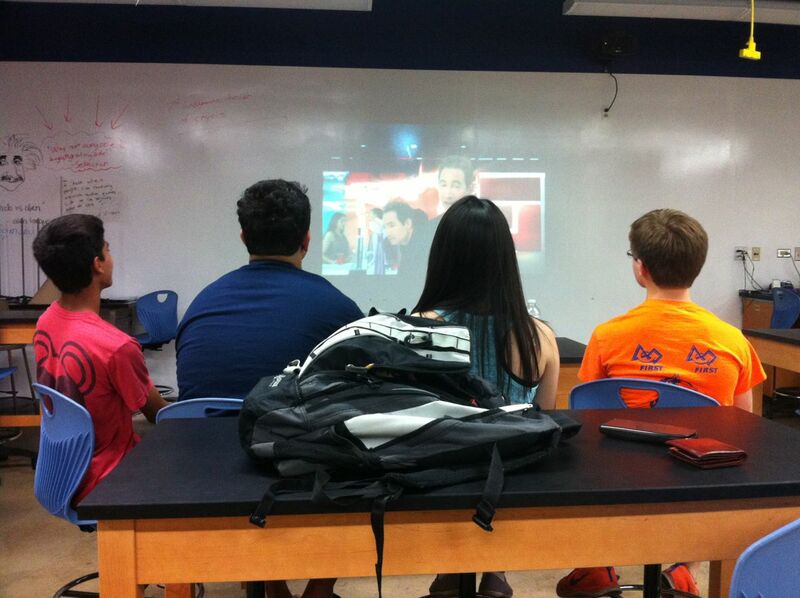 In AP Physics B, we continued to watch the Fabric of the Cosmos. I thought the four remaining students (seniors have graduated) looked like Mystery Science Theatre 3000. I mentioned this to them, and they had never heard of MST3K! Kids these days! Next Next post: Day 183: Escape During Finals!